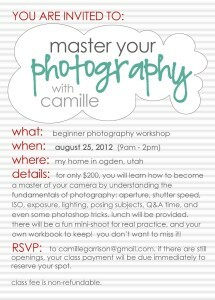 Announcing my second (and last) photography workshop of this year! I had to move the date up since I will be 8 months pregnant (I’m sure I’ll be a great sight). I am so excited! Email me TODAY to reserve your spot!